Antenova Ltd is introducing two new antennas for the ISM and cellular frequencies. 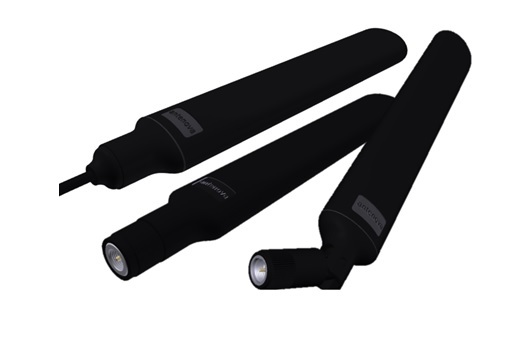 These antennas are designed to be used on the exterior of a product, and are built to an ergonomic blade design to blend well into the outside of the design. The first antenna, named Draco (P/N SREL036) is a terminal antenna for 4G, 3G and 2G applications, covering the LTE, HSPA+, WCDMA, CDMA, GSM, GPRS, DCS1800 and PCS1900 bands.